Pride Factor celebrated its third anniversary by inspiring thousands of teenagers in the Eastern Cape to broaden their aspirations and challenge their assumptions at the 6th annual JB Marks Career Exhibition in Mthatha last week. The two-day event was staged in converted aircraft hangers and a pair of giant marquee tents at Mthatha airport that housed more than 80 exhibitors including government departments, corporate entities and educational institutions. It was attended by more than 10,000 Grade 11 and 12 learners from the surrounding areas and as far afield as Port St Johns. 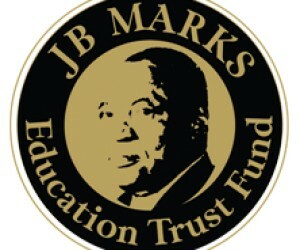 “Pride Factor is thrilled to be involved with an organisation as well established and professional as the JB Marks Education Trust Fund,” said Dene Botha, MD of Pride Factor. “Our sincere thanks for the opportunity to introduce our Inspired Youth programmes to the youth in the Eastern Cape and we look forward to further collaboration to achieve our shared objective of empowering the future leaders of South Africa.”The two-day event was staged in converted aircraft hangers and a pair of giant marquee tents at Mthatha airport that housed more than 80 exhibitors including government departments, corporate entities and educational institutions. It was attended by more than 10,000 Grade 11 and 12 learners from the surrounding areas and as far afield as Port St Johns. 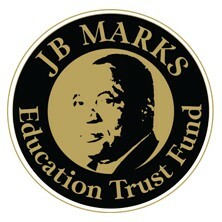 Pride Factor is thrilled to be involved with an organisation as well established and professional as the JB Marks Education Trust Fund,” said Dene Botha, MD of Pride Factor. “Our sincere thanks for the opportunity to introduce our Inspired Youth programmes to the youth in the Eastern Cape and we look forward to further collaboration to achieve our shared objective of empowering the future leaders of South Africa.Botha presented motivational talks to 10 groups of approximately 800 students each at the event, motivating them to become the best they can be through the five core principals of Prosperity, Responsibility, Improvement, Direction and Energy that are the basis of the Pride Factor credo.That was amazing - Learnt so much from Pride Factor today,” said Jekli Chan after one of the presentations.Wanting to say thank you Pride Factor for the inspirational messages today – it give us hope!” added Siyamthanda from Zululiyazongoma Senior Secondary School in Manuneni. I am looking to start my own business and am looking forward to the Pride Factor membership so I can learn more,” said Lihle Tsalupondo about the membership programme that Pride Factor is launching in June to provide the youth with guidance on how to achieve successful and fulfilling careers and lifestyles.We would like to take this opportunity to thank Pride Factor for your valuable contribution towards the initiatives of JB Marks Education Trust Fund,” said Jako Mokgosi, JB Marks Education Trust Fund Principal Officer. “Your presentation and participation at the 6th JB Marks Career exhibition held at the Mthatha Airport hangers has added significant value to the community of Mthatha and surrounding areas. Your commitment humbles us.Pride Factor is a life skills academy launched in Cape Town in April 2014 to inspire young minds and address the scourge of unemployment and its resultant poverty and inequality by encouraging teenagers and young adults to to embrace entrepreneurship as a means to create their own jobs and employ others. Through the Inspired Youth motivational workshops run countrywide and in Kenya, Pride Factor has reached tens of thousands of young Africans directly, and millions more indirectly via its digital platforms, radio and television properties. For more information on the Pride Factor and Inspired Youth platforms visit the Facebook page PrideFactorSA or www.pridefactor.co.za which is currently being updated.